The 2019 Cost of Living Adjustment for VA disability compensation of 2.8% is the largest COLA increase since 2012. This rate increase followed rate increase of 2.0% in 2018, 0.3% in 2017, and no rate increase in 2016. The following article explains VA Service Connected Disability Ratings, how VA disability compensation works and shows the 2018 VA Disability Pay Rates, based on the veterans disability rating and the number of dependents. What is a Service Connected Disability? Who Should I Contact if I Have Questions About My Disability Rating? 2019 VA Disability Compensation Rates are effective as of Dec. 1, 2018. Increases in VA Service-Connected Disability Rates are tied to the same Cost of Living Adjustments (COLA) provided by the Social Security Administration. These are the same rates the government uses for determining cost of living increases for Social Security recipients, military retirees, and federal civilian retirees. 2019 VA Disability Compensation Rate Increase – 2.8%. The 2019 disability compensation rate increase was the largest COLA increase since 2012. This follows another decent increase of 2.0% in 2018. The previous two increases were much smaller, coming in at 0.3% (2017), and no cost of living increase (2016). 2014 was the first year the VA has included amounts above a flat dollar amount. In previous years, the amount was rounded down to the nearest dollar. This change won’t make a huge difference now, but if this policy remains in place, it will compound over time. If you were injured or became seriously ill while serving in the military, you may be eligible for certain veterans benefits, including VA disability compensation. This benefit is paid to certain military veterans based on illnesses or injuries received while serving on active duty. Certain veterans may also be eligible for VA health care benefits. To see current VA disability rates, scroll down to the bottom of the article. Keep reading to learn more about VA disability rates, applying for disability compensation, and other facts. There are many factors which go into determining compensation eligibility and levels, most of which are outside the scope of this article. Treat this article as a primer for VA disability benefits as we show you the VA’s definition of a service-connected disability, where to apply for benefits, and the current VA disability compensation rate tables, as provided by the VA.
a benefit paid to a veteran because of injuries or diseases that happened while on active duty, or were made worse by active military service. It is also paid to certain veterans disabled from VA health care. The benefits are tax-free. Source. If you are considered to have a service-connected disability, then you may be eligible to receive a monthly compensation payment, and under certain circumstances, you may be eligible to receive additional compensation, usually if you have a service-connected rating of 30% or higher and have dependents (spouse, children, and/or parents under your care), if you have missing limbs, or if you have a severely disabled spouse. Detailed instructions for applying for VA disability benefits are outside the scope of this article, but in general, it is best to supply as much supporting information as possible, including how the injury or illness occurred, any medical treatment you received, current health status, and how your life has been affected by the injury or illness. You will need to fill out VA Form 21-526, Veterans Application for Compensation and/or Pension or apply online using VONAPP. Also be sure to have a copy of your DD Form 214. The VA rates each disability claim on a case by case basis. The VA first determines whether or not the illness or injury was sustained while the servicemember was in the military, then they assign a rating for each illness or injury. If the VA determines the injury or illness isn’t related to your military service or didn’t happen while you were in the military, they will deny your claim. If the VA approves your claim, they will assign it a rating between 0% – 100%. 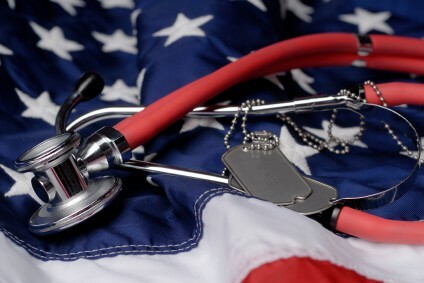 A 0% rating shows there is an illness or injury that is connected to your military service, but it doesn’t warrant compensation at this time. It is still good to get a 0% rating compared to no service-connected link because if the condition worsens at a later date, you can apply to have your disability rating upgraded. Multiple disability ratings are a little tricky to calculate and are beyond the scope of this article. But we’ll give a brief overview. In short, the VA uses a special method for calculating multiple disabilities. Example: If you have a 30% disability rating, the VA would multiply that against 100%, which is assumed to be good health. This gives you 30%. Subtract that from 100% which leaves you with 70% (consider this your new starting point for your health rating). Then subtract 70% from 100% and you are left with 30%. If that is your only disability, then your final VA Service-Connected Disability Rating is 30%. If you have multiple ratings, you continue with the process, using your final number each time as your starting point. Continuing with our example, if your next rating is 10%, you would multiply 10% against 70%, which is 7%. You subtract that from 70%, which leaves you with 63%. Subtract 63% from 100% and you get 37%. Your disability rating is 37%, which rounds up to 40%. It can get complicated quickly, so I have an in-depth article and podcast that explain how the VA calculates combined disability ratings. I highly recommend reading and/or listening to get a good idea of how the process works! Many disability ratings are temporary and the VA retains the right to reexamine the disability rating at any time. If they wish to reexamine you, you will receive a Notice of Reexamination letter in the mail which will include a scheduled appointment date. Make sure you attend this appointment or reschedule, as the VA can reduce or terminate your benefits rating if you fail to attend this scheduled appointment. After the VA reexamines your condition(s), they will make a recommendation to increase, decrease, or leave your benefit at its current rating. There are times when your ratings may be protected, based on the type of disability, how long you have held the rating, your age, or other factors. Here is more information about VA Disability Reexaminations and Benefits Reductions. Remember to contact the VA whenever you have a change in family status as your rates may change as well. If you have a 30% disability rating or higher and you are also supporting qualified dependents such as a spouse, child, or parent, you may be eligible to receive a higher VA disability payment. If your disability rating is 20% or lower, changes in your family status should not affect your VA disability payment rates. The VA will not know when there is a change in your family status, so you will need to inform them immediately when something changes – such as a birth, wedding, a parent moving in with you, divorce, a child coming of age, or the death of a qualified dependent. It is always best to inform the VA of a change as soon as possible. However, in some cases, you won’t be able to do so until you have more information (such as when a child is born, as you can’t do anything with the VA until your child has received his or her Social Security Number). Keep in mind that the VA will sometimes backdate payments to make up for any shortfalls, or in the case of the loss of an eligible dependent, your payment may decrease. On the flip side, the VA can come after overpayments if you failed to notify the VA of a change in family status in a timely manner. Be sure to contact the VA disability center for more information. When you file your disability claim, be sure to give the VA the routing number to your bank so you can enroll in direct deposits. This is faster and more secure – and a requirement as of March 1, 2013. I recommend using a high yield savings account so you can earn more money on any interest that your money earns. If you have specific VA benefits related questions, it is always best to call or visit your regional VA medical center, as they will be able to access your file and answer your specific questions. You can view the current VA Disability rates here, but for your convenience, we have included them in this article as well. There are many organizations that specialize in helping veterans with their benefits and claims. The first place to start is with the VA. They will have access to your records and other information. This is the best source for current and up to date information. However, the VA isn’t always the best place to get assistance with your claim, especially if you are filing an appeal after the VA denied your claim. In that instance, I recommend contacting a veterans benefits counselor at your county VA office, or an organization such as the DAV, AMVETS, VFW, American Legion, or similar Veteran Service Organizations. These organizations have trained benefits counselors who should be able to review your personal and medical situation and provide a better answer to your question than I can provide. Alternatively, if you prefer to use the anonymity of the Internet, you can use the Physical Evaluation Board Forum, which offers an excellent community that offers advice on VA disabilities, ratings, and the military medical board process. If that doesn’t work, you can consider hiring a lawyer that specializes in VA disability claims. I don’t have any specific recommendations for lawyers, so please do your research before hiring a law office to represent you. At the minimum, you will want to ensure they specialize in military law, VA disability claims, social security disability claims, or similar types of law. As with all legal agreements, also make sure you understand the compensation structure. Please note that while I have a solid understanding of how the VA disability system works, I am unable to answer specific questions regarding one’s VA disability claims or specific medical conditions. These questions should be addressed by the VA, your medical professionals, or a veterans benefits counselor. Thank you for understanding, and thank you for your service! Good Day, I recently had my rating increased from 40 to 70% due to winning an appeal. The percentage increase was post dated back one year to my retirement date. I’m a 26 year retired AD vet. I know some of the details regarding concurrent receipt. My question is: am I entitled (and can I expect) the difference in compensation for the entire year to be paid to me? And, does my service pay center owe me any back pay due to the adjustment in compensation? It was Coast Guard and I think they’re in the process of transitioning to DFAS now. Since I was awarded the increase after pay cut I’m anticipating I should see something at the end of this month. Silence on the line from the CG pay center thus far. Thank you for your assistance. Hello Christopher, Thank you for your question. I believe you will receive the backdated increase from the VA, as well as the Coast Guard. The VA will generally cut a check within 1-2 months of awarding the backdated pay. But I am not 100% certain how the process works for the military side of the house. You may need to verify and/or coordinate with DFAS or the Coast Guard pay system. I’m sorry I don’t have a firm answer, but I don’t work for these agencies and I haven’t seen this information publicly listed anywhere. I am really dissatisfied with the Marion, Il C&P examination officer who performed my exam. I really thought she was rude. I have been receiving benefits for my right foot since about 2010. It could never get better only worse and it has. She wrote a report saying that I said it was getting better which was a lie. So they took my benefit according to what I was told by the service officer, which was wrong. So they sent me to an outside doctor who’s opinion was totally different, but totally ignored by the guys who make these decisions. So my officer brought it to their attention. What did they do? They sent me before this same rude and very arrogant person they sent me to the first time. I think it’s a shame that within the last 8 months I have had 3wzans for the same thing with no help to me at all. I lost my benefit for no reason at all except for what this one examiner has written. How can they be so different? Same thing happened to me in Indianapolis, O’grady was her name, and only a RN- not even a doc. Now I am fighting like hell to get my benefits back. She made *hit up and flat out lied. Because of her lies now my record is stained. On appeal they look at her lies vs the facts which are documented on my Service records. She needs to be FIRED! I have turned her in but she is still there. The system is broken! They’re always rude to me. It’s not your imagination. It’s their modus operandi. I had a rude examiner back in 2010-2011 at Marion, IL also. I got rated at 30% which is way lower than I should’ve been after my records were reviewed by a civilian doctor who served as a doc in the Navy. I have no idea how to get my record reviewed again for an updated rating or if I can even do that? I switched to the VA in Evansville, IN because I was no longer going to put up with Marion’s incompetent facility. Semper FI! Hello Danny, You can always submit an appeal or apply for an upgrade or a new claim. See your local VA office about filing a new claim, or visit a Veterans Service Organization for assistance with your claim. I wish you the best, and thank you for your service! You need to seek a COUNTY Veterans Services Officer (CVSO) not a VA affiliated representative, a CVSO works for you, not the federal government, they are knowledgeable and highly trained. You earned your VA benefits, whatever you do, don’t give them to a lawyer! I wish I could agree after working for a CVSO while in college, but my last few experiences were not good. Not only did they fail to obtain the appropriate compensation rating, one attempt resulted in my rating being decreased by 20%. I moved on by representing myself, gathering documents and writing out my own timeline of events, medication schedule and uses, as well as articulating the nature and condition of my disabilities that show a significant change in severity of my permanent physical injuries. One of the most successful CVSOs in my area wanted to do everything for me which included choosing what the decision making authority would be considering. Sometimes you just need to skip the lawyers and other representation and let them see you as more than a name on paper. I receive 40% disability and I have other medical issues I have due to my service in the Marine Corps, I have also been retired for 5 years now and I am ashamed to say I have no idea on how and with whom to start a disability appeal. I recommend going through a VSO to get their help filing your appeal. I used the DAV to file my VA Disability Claim and will continue to utilize them for any appeals. Often times the folks working at the various VSO’s (DAV, VFW, etc.) are retired military / VA Disability Rated as well…so they know how the game works. They should, at the very least, be able to point you in the right direction if your appeal needs legal assistance versus standard appeal processes. Hope this helps. I have twin sons that will turn 18 just prior to their senior high school year. Will they are still in high school and does that credit stop when they graduate? They will both be going to college. Will I still receive credit for them while in college? If so, presuming they are full time students, how long? Hello Bruce, Thank you for your question. There is a form you can send to the VA to verify they are still in school (VA Form 21-674). Your children will still count as dependents while they are still attending school full-time, whether that is high school or college. The cutoff age is 23. You will need to submit this form each year to verify school enrollment. I hope this points you in the right direction. I wish you the best, and thank you for your service! I was talking to a couple of people about my rate of %10 , and they all seem to be telling me the same thing that given the injury and the fact that the Dr. left my ankle with limited mobility to the point that I now use a cane it should be higher. In looking it up myself I did find that within code 5270 it should be %40 on mobility and one person told me that if a Dr. makes changes that cause this it should be %100. What is the best course of action of forms or contact if what I have found is true to change the rating. Hello Michael, The best course of action is to work with a Veterans Service Organization such as the DAV, AMVETS, etc. They have trained benefits claims counselors that should be able to help you file an appeal or file a new claim. I wish you the best, and thank you for your service! I currently have an appeal in for 6 issues and I received a SOC for 5 of the issues which I’m fine with. The other issue was granted however I’ve received no paperwork or anything on ebenefits. Wouldn’t you still get a SOC for PTSD if it’s under 100% because it not max allowable and second does it just take awhile to process once granted? Thanks. I am 56 and a 28 year retired reservist with 12 mo deployment eligible for early retirement compensation. I have just started receiving VA disability rating of 70%. Am I qualified to receive retirement pay any earlier than age 59? Hello Ronnie, Please see this article regarding early retirement from the Guard or Reserves. It addresses the only methods I am aware of for receiving retirement pay early. I wish you the best, and thank you for your service! I was not aware that I can continue to receive benefits for dependents that are full-time students up into the age of 23. I discovered that today. All three of my children are now over 23 and each of them was a full-time student until they reach that age. Is it possible to get backdated payments or a situation like this? I’m not sure. You would need to contact the VA to verify if this is possible. Good morning, my mother is a VET from the army and she’s suffers from manic depression from being in the military… we never knew that she was eligible to receive any type of compensation from the VA… she had last left the army I believe in or around 1989 on an honorary discharge… my question, if and when we go to apply for her to receive compensation, would see be entitled to any type of back compensation from when she left the reserves or would they only go by the date that she first filed a claim??? Hello Ike, Thank you for your question. The VA usually only awards back pay to the date the claim is filed, unless they file the claim shortly after leaving military service. In this situation, the back pay would likely only extend to the filing date. I wish you and your family the best! Kenneth, you can contact the VA customer service line. They can look up your claim and help you understand your rating, which medical conditions are rated and how much, and help you understand which benefits you are eligible to receive. You should also be able to find this information on the VA’s eBenefits website. I wish you the best, and thank you for your service! I have been receiving 10% compensation for 6 years and i have recently been awarded 70% compensation for a different claim.I was wondering if my total compensation increases to 80% or do I just receive the higher amount of 70% that I have just been awarded? Hello David, Thank you for contacting me. This article explains how to do the math for combined disability ratings. I wish you the best of health, and thank you for your service! I’m getting ready to move a few miles just across the state line. I’m a 100% disabled veteran. Will I lose my disability compensation if I move across the state line? Hello James, You will not lose any federal VA benefits if you move across a state line. You will want to look into any state benefits that you may be receiving now or that you might be eligible for in your new location. One common benefit is homestead tax exemptions for disabled veterans. I wish you the best, and thank you for your service! Veterans out there with 100% Disability. You can also apply for Social Security if you haven’t worked in a year. You will need a letter from a dr. stating you haven’t for a year, and you no longer can work. If you get denied 2 or 3 times you will need a good (local) Social Security lawyer, make sure that’s all they do. It can take years for this to run the course. You can also get a discount on land taxes with your Va disability. Does any one know the VA Disability Center’s phone number for the adjustment in compensation for divorce? Who do I call so I dont get ******* from over collecting. Hello James, Just contact the main customer service line. They can connect you or give you an extension number. I wish you the best, and thank you for your service! Thanks, do you have that number I cant seem to find it thank you! This is the problem, it seems that when you retire from “active” duty, they “convert” the reserve time to active duty time, and you actualy loose time in service, they credited me with only 18 years of service, will not draw full retirement, nor concurrent benefits, is this just a nature of the beast or is this a “fixable” situation. Oh man. Genuine ‘loose’ time is the worse, amiright? Get a grip, brother. You need to tighten down. Yeah, I know you ain’t gonna publish this response. NP. Just wanted to say: “Thank YOU Ryan, for your military service, and for this website”. What a wonderful and well thought out site, brimming with great advice for fellow vets! Hand Salute, Brother! Hi,I was service in 91 and 20% for gout but never rated for degenative joint desease now I claim it different. AM I eligible for back pay cause they combine them together . Hello Samuel, VA service-connected disability compensation back pay is usually only granted to your separation date if filed within a year of leaving the military, or to the date you filed your disability claim if it was filed more than a year after separating from the military. I hope this is helpful. I wish you the best, and thank you for your service! If I’m denied a claim and then reapplied, then the claim is approved, is back pay given? Roy, in this case, back pay is generally awarded to the date of the initial claim. However, I would verify with the VA to ensure their policies. I have a strange question. I am 100% service connected disabled. Do I lose my disability if I take college classes online and does the VA pay for them? I do not want to get a degree for work purposes but just for personal satisfaction. Thanks in advance, Rick. Hello Rick, No, you should not lose your disability rating for taking college classes. The VA normally pays for college courses through the GI Bill. However, disabled veterans may be eligible to use the Vocational Rehab program to take courses or career training. That said, the intent of Voc Rehab is to obtain a job in a new career field. So you would need to create a career plan and work with a counselor to set up a plan for education and training that will lead to a job. My recommendation is to contact the VA or a benefits counselor that can help you walk through your options. You can call anonymously if you wish, however, it is best to give the VA your information when you make the call so they can look up the exact benefits you are eligible for. Hello Dale, You may be eligible. To find out, you would need to file a disability claim with the VA. You can do so directly with the VA. However, since so much time has passed, you may find it easier to have someone assist you with your claim. You can often find free assistance from a veterans benefits counselor at your county VA office, or through some of the major non-profit veterans service organizations, such as the DAV, AMVETS, VFW, American Legion, etc. So I was involuntarily separated in SEP and received separation pay. I am currently 100% PERMANTELY disabled. Do I have to pay the separation pay back? I HAVE BEEN OUT OF THE SERVICE FOR MANY YEARS BUT AM HAVING DREAMS OF HORRIBLE THINGS I SAW AND WAS A PART OF WHILE IN. I HAVE SEEN MANY DOCTORS AND COUNSELLORS AND CAN NOT FORGET IT. CAN I FILE A CLAIM AFTER BEING OUT 30 YEARS? Short answer, YES. Quoted from the Vet Services Rep Handbook “Some conditions need not actually manifest during service to be linked to service—i.e. In-service noise-induced hearing loss, cancer caused by exposure to radiation in service, and post-traumatic stress disorder resulting from an in-service trauma.” Basically, you’ll need to get your provider to write a “Nexus statement” that shows that the dreams are “as likely as not” connected to the in-service trauma. Handbook can be found here. Hope this helps. Thank you for your service. I have a 100% PT and 10% hearing loss. I just read here where Sleep Apnea is disability of up to 50%? I have been on a CPAP for over 10 years. If I were to apply for this would this affect my current monthly award? Hello Roger, It never hurts to add a medical condition to your VA disability claim. But the maximum you can receive is still 100%. If you are already receiving 100% disability, then you cannot receive more than that. That said, you should always document all medical conditions that occurred or were made worse during your military service. yes however, there exists certain schedulers that warrants /grants additional pay depending on the disability. For example: Loss of use of ____. You may receive additional pay but your percentage will never go beyond 100%. Thank you for your support for the military and veterans. I am 100% service-connected. I just wanted to share some advice for active duty and vets with mental health disabilities as far as correctly and lawfully filing compensation claims that may possibly give positive results. Documentation!! Always document yourself!! When you have issues, go to your military medical (active duty) or the VA for veterans and have them document your crisis/ailments!! Also, equally important and something that WILL help you and that I have followed all rules and regs from is the Federal Veterans Laws, Rules and Regulations manual and from the Veterans Benefits Manual. Both are from the National Veterans Legal Services Program and LexisNexis. The manuals cost a little bit but will assist you properly when preparing yourself for and filing a compensation claim. They are both very well worth the purchase. But always remember, “Documentation”. I’m currently receiving 60% disability from VA. That said, I’ve been trying to get my percentage increased for a number of years now with no success. I severely broke my nose in basic training (1980) and had out-patient surgery at Eisenhower Army Medical Center (EAMC). Although, I had sinus problems prior to retiring from the military. Military doctors/PA indicated that I just had allergy problems. So when I retired, I did not get a rating on this injury. However, years later a ENT doctor did a CT sinus scan noticed that I had past trauma to my nose and sinus cavity. I’ve since had surgery but continue to have sinus issues. To wrap this up, this injury never made it to my health records. I called EAMC to get my records and they indicated that all records after a certain date were transferred to the national archives. I checked with the National Personnel Records Center and VA and they do not have anything from EAMC. When I filed my VA claim, it was denied due to insufficient proof. VA asked if someone in my basic training unit could write a letter if they remembered the incident. I have not seen or talked to anyone in basic training in over 30+ years. So does anyone know what I can do? I’m at my wits end with VA. Thanks in advance! Hello Roosevelt, Thank you for your comment. From my understanding, the VA needs some form of proof to verify the injury or illness occurred on active duty. This is most commonly found in medical records, but can also come in the form of a written statement from a witness or someone who is aware of the event. Beyond that, I’m not sure what your options are. I recommend working directly with a veterans claims counselor at an organization such as the DAV, AMVETS, American Legion, etc. I wish you the best, and thank you for your service! I’m files my in June 2017 . I comeback a most a year later to ask him what’s my status and I find out somehow the guy fax my documents to the VES is missing some pages. Now I’m received 50% . Cam I get back pay in 2017? Hi there Happy holidays.. a bit of an odd question but I was wondering do we get our service connection check on the 1st or Friday cause new years is a holiday? official pay date is December 31st. However depending on your bank, you may see money a little earlier. Hello, perhaps you can provide a clarification irt the current rate table. The numbers in the 2019 rate table don’t add up. In other words, they are not a full 2.8% increase. Just taking a figure at random, say the 90% rating with Dependent from 2018 at $1,932.68. A 2.8% COLA increase is $1,986.80 instead of the $1,986.62 listed in the table for 2019. Try this with any of the other amounts….not one value in the 2019 rate table is an exact 2.8% increase over the 2018 value. In years past the calculation was exact…but this seems to no longer be the case. Is the VA applying some new bizarre formula in order to arrive at the skewed numbers? Why does the do QTCs? QTCs are only for ankle and IBS. If husband and wife are veterans and they both receive VA connected compensation. If one of the spouses passes. Will the remaining spouse receive their spouses compensation? No, the survivor is not eligible for monthly VA disability compensation. However, there may be certain other benefits if the veteran passed away due to complications from their VA service-connected disabilities. You would need to contact the VA to learn more. Thanks for this thread and helping so many Vets with complicated questions! I had a rating of 0% in 2010 and am now looking to re-apply and hopefully have the rating increased. I’m living outside the US and wondering if I need to go back to my home state to the VA office there? Any idea how long this would take (would I need to move back home while in this process?). Hello Jones, I do not know if you are required to move back to the US, but you would need to be available to visit a VA medical center for your examination and any possible reexaminations. I recommend contacting the VA for more specific information. I wish you the best, and thank you for your service! What is the proper course of action if the 2019 COLA has not showed up on our checks? I thought mine looked fairly similar to the previous month, but a review of my bank accounts showed the same check each month for most of the year. Hello Rodney, It is possible but I cannot say for certain. The best thing to do is to apply for an increase in benefits. You will need to contact the VA to do this. Or you can contact a veterans benefits counselor at a Veterans Service Organization such as the DAV, AMVETS, VFW, American Legion, etc. I wish you the best, and thank you for your service! I separated from the Marine Corps in 2009. While I was in I suffered an ankle injury, which still bothers me to this day, as well as having patellar tendinitis in both of my knees, as documented in my military records. I was told before I left that I wouldn’t be eligible for anything, but I need to know if that’s ACTUALLY the case. And if I am eligible, what rating would be chosen? Hello Eddie, You may be eligible for a VA disability rating based on any injury or illness that occurred or was made worse while serving on active duty. But no one can give you a possible rating via email – the only way to know for certain is to apply for VA disability compensation. You can do so online, at the VA, or with the assistance of a Veterans Service Organization. Many VSOs have trained benefits counselors that offer free benefits claims assistance. I would start with one of those and go from there. I wish you the best, and thank you for your service! In 2013 I was rated 50% for PTSD & 0% for back. In 2018 I filed for the exact same issues, PTSD & back. I was awarded 70% for PTSD and 0% for back. Any chance to get a portion of back pay since it’s for the same 2013 diagnosis? Also, I never filed an appeal for my back, I’ve just been denied twice bc they can’t link it to service connection. I’m filing my first appeal for my back, bc after reading their decision its obvious they’re not taking into account the car wreck in Iraq that put me in the hosiptal for a week. I’m confident I can either find more evidence about the wreck or get at least 10%-20% during the appeals process. I know, wishful thinking. But say I get a rating for it, any back payments since it’s for the same exact type of claim they denied in 2013? Hello Alexander, These are great questions. I’ll do my best to answer, but you should verify specifics with the VA. Regarding the PTSD ratings – the VA has strict criteria for what constitutes each PTSD rating. So they likely viewed your 2013 and 2018 applications differently. If that is the case, then you would have had to have appealed the 2013 decision and have been awarded an increased rating at that time to receive back pay. I don’t know if you can receive back pay for the new rating that was given in 2018. That said, this is something you should verify with the VA or a veterans service organization. As for your back injury – you should absolutely find documentation of your car wreck and hospitalization – that will be instrumental toward your potential rating. You should also file an appeal. It’s possible it is too late to file an appeal for the 2013 decision. So you would need to file an appeal for the most recent decision in 2018. If you are awarded a disability rating, the VA generally only awards compensation to the date of the application. If your application is denied and you appeal their decision and are later awarded a rating, then you would usually be awarded back pay to the date of the application. But in your case, I don’t know if you would be able to appeal the 2013 decision since so much time has elapsed. If you appeal the 2018 decision and are awarded a rating, then you would likely receive back pay to the date of your 2018 application. Again, I recommend working with a veterans benefits counselor at your county VA office, the VA, or through a Veterans Service Organization such as the DAV, AMVETS, etc. A friend of mine has been told by the VA that his Non-Hodgins’s Lymphoma (NHL), due to exposure to Agent Orange-type herbicides while serving in Vietnam, is SC. However, he was given a 0% benefit rating. He is @ 70 yrs. old and is retired. His surgeries and radiation treatment for NHL were completed @ 10 years ago. His VA disability application is about one year old. I thought a SC disability for NHL meant the applicant would be some level of payment benefits. Am I correct? I urged him to appeal the VA’s decision. Thank you. Hello John, Your friend should contact the VA for an explanation of benefits. They should send him an award letter explaining his condition, the service-connected disability rating, and what it means. He will also receive a packet explaining his benefits. The VA also sends out a form for appealing a decision when they send award letters or make any changes to benefits. So your friend can appeal the decision at any time if he believes an upgrade is warranted. I would recommend he contact his county VA office or a Veterans Service Organization such as the DAV, AMVETS, American Legion, VFW, or similar organization. They have trained benefits counselors that can offer free claims assistance. As for his specific condition and rating, I don’t have a firm answer. Some ratings can be downgraded or given a 0% rating if or when the underlying medical condition(s) improve. In this instance, you mentioned he had NHL and received treatment 10 years ago. If there are no longer signs of this condition, then the VA may have determined it warrants a 0% rating at the moment. However, this 0% rating also means the VA acknowledges there is a service-connection, which makes it easier to apply for an upgrade if his condition later changes. Again, I cannot speak for this specific situation, only the possibility of what may have happened. Your friend should take this up with the VA or a veterans benefits counselor. I hope this is helpful. I wish your friend the best of health and I thank you both for your service! Thank you for reading this article! Please note that I have closed the comments section on this article. There are over 700 comments on this article – most of which deal with very specific situations. Unfortunately, I am unable to answer specific questions regarding one’s VA disability claims or specific medical conditions. The best course of action is to contact a veterans benefits counselor at your county VA office, or an organization such as the DAV, AMVETS, VFW, American Legion, or similar Veteran Service Organizations. These organizations have trained benefits counselors who should be able to review your personal and medical situation and provide a better answer to your question than I can provide. Most VSOs offer these services free of charge. Please use our Contact Form to notify us of any editorial changes that need to be addressed in this article. Please do not send personal questions related to VA disability benefits or reexamination notices. Unfortunately, I will not be able to answer them.